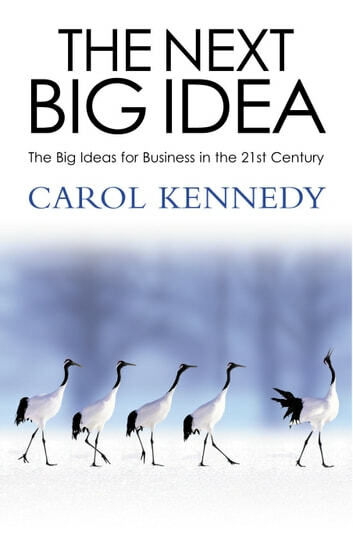 'Carol Kennedy's The Next Big Idea should be on the desk of every consultant.' Accountancy Age'Written with a freshness and sparkle that belie a considerable amount of research, and provides new insights on almost every page.' Innovation MagazineThe book that outlines the next big idea in business - whether Larry Ellison's business strategy at Oracle or the next hot management theory. Covers US and European figures, concepts and ideas. 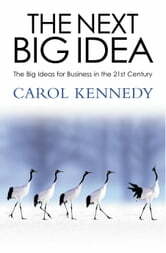 Management in the 20th century was perpetually driven by the hunt for the Big Idea - the breakthrough that would bring greater efficiency, performance, productivity and profits to the business organisation and greater motivation to its employees. This book investigates where business will take its next big idea from, whether from new kinds of gurus, research institutions studying the lessons of natural science, practical industrialists working out problems on the factory floor, or the best brains of Silicon Valley.